फरीदाबाद, 6 अक्टूबर: बाटा नीलम रोड पर स्थित होटल रूपराज के दोनों मालिक संजय कांत एवं कुलदीप कांत को एक धोखाधड़ी मामले में 14 दिन के लिए नीमका जेल भेज दिया गया है, इससे पहले होटल के तीनों मालिक भाइयों को आपसी लड़ाई में नीमका जेल भेजा गया था. उस मामले में उन्हें जमानत मिली हुई थी. 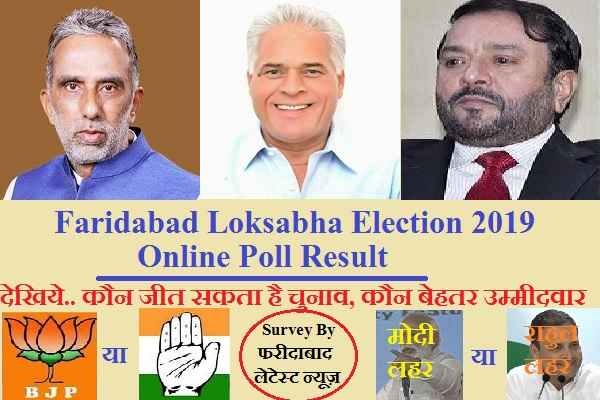 दोनों भाइयों को कोतवाली पुलिस थाने में वीरवार को गिरफ्तार किया था एक दिन उन्हें कोतवाली थाने की हवालात में रखा गया अब उन्हें 14 दिन के लिए नीमका जेल भेजा गया है. 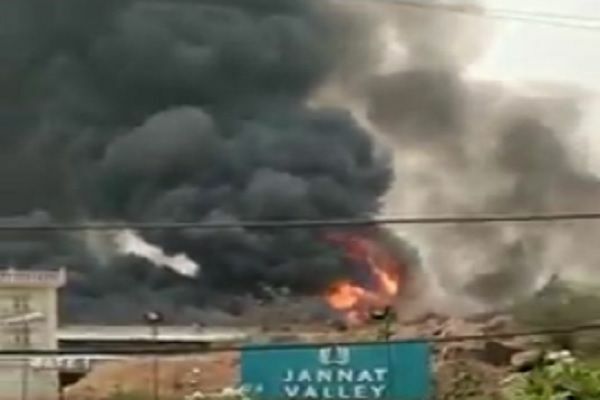 दोनों भाइयों पर सेक्टर 14 निवासी शिरीस गोयल ने धोखाधड़ी का मामला दर्ज करवाया है, उनके आरोपी अनुसार 27 मार्च 2015 को दोनों भाइयों ने उनसे ₹50 लाख लेकर एनआईटी स्थित एक प्लॉट 1A/257 का एग्रीमेंट कर लिया इस पर पहले से ही किसी का कब्जा था. दोनों भाइयों पर आरोप है कि उन्होंने शिरीस गोयल से ₹5000000 लेने के बाद भी तय समय में प्लॉट का एग्रीमेंट नहीं कराया, सर्तों के अनुसार तय समय में प्लॉट का एग्रीमेंट ना कराने पर उन्हें एक करोड़ रुपये शिरीस गोयल को वापस करना था. जब दोनों भाइयों ने पीड़ित शिरीष गोयल को रुपए वापस नहीं किए तो उन्होंने पुलिस में मामला दर्ज करवा दिया. इसी पर कार्यवाही करते हुए दोनों को वीरवार को गिरफ्तार करके जेल भेज दिया गया. फरीदाबाद, 12 मई: फरीदाबाद शहर से आग लगने की एक बड़ी खबर आ रही है. 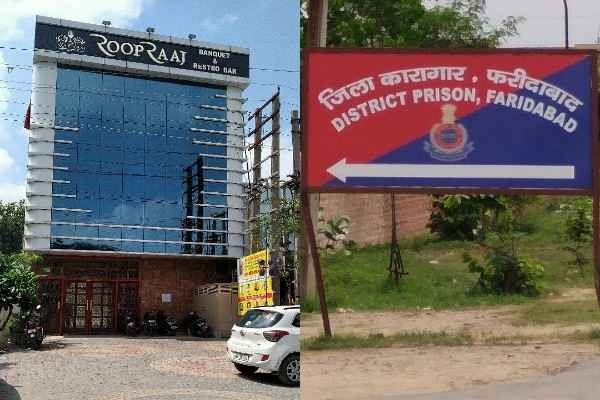 जानकारी के अनुसार सूरजकुंड रोड पर स्थित जन्नत वैली फार्म हाउस में भयानक आग लग गयी है. आग बुझाने के लिए मौके पर दर्जनों दमकल की गाड़ियाँ मौजूद हैं. फिलहाल अभी आग लगने के कारणों का पता नहीं चल पाया है. बताया जा रहा है. रेस्टोरेंट में लगी आग से अभी तक किसी तरह के जानमाल के नुकसान होने का कोई पता नहीं चल पाया है. फरीदाबाद, 10 मई: फरीदाबाद नगर निगम कमिश्नर मुहम्मद शाइन ने कड़ा एक्शन लेते हुए कल सराय ख्वाजा में मथुरा रोड पर The Lalit होटल को नगर निगम का कन्वर्जन व ईडीसी चार्ज के रूप में आठ करोड़ रुपए बकाया राशी न देने के आरोप में तत्काल प्रभाव से सील कर दिया था. फरीदाबाद: नगर निगम में जब से कमिश्नर मुहम्मद शाइन ने पद संभाला है उन्होंने कई एक्शन दिखाए हैं. आज उन्होंने शहर के बड़े होटल The Lalit को सील करके फिर से बड़ा एक्शन लिया है. बता दें कि The Lalit होटल पर नगर निगम का कन्वर्जन व ईडीसी चार्ज के रूप में आठ करोड़ रुपए बकाया था जिसे चुकाने में The Hotel आनाकानी कर रहा था. यह होटल सराय ख्वाजा में मथुरा रोड पर स्थित है, यह विश्व प्रसिद्ध होटल समूह ललित ग्रुप ऑफ होटल्स के अंतर्गत आता है. आज नगर निगम आयुक्त मोहम्मद साइन के निर्देश पर ओल्ड फरीदाबाद जोन के संयुक्त आयुक्त आशुतोष राजन के नेतृत्व में नगर निगम की टीम ने पहुंचकर होटल को सील कर दिया, इससे पहले 24 अप्रैल को इसे नोटिस दिया गया था लेकिन होटल वालों ने नोटिस को हल्के में ले लिया, होटल को सील करने के लिए पुलिस का भी सहयोग नहीं लिया गया. 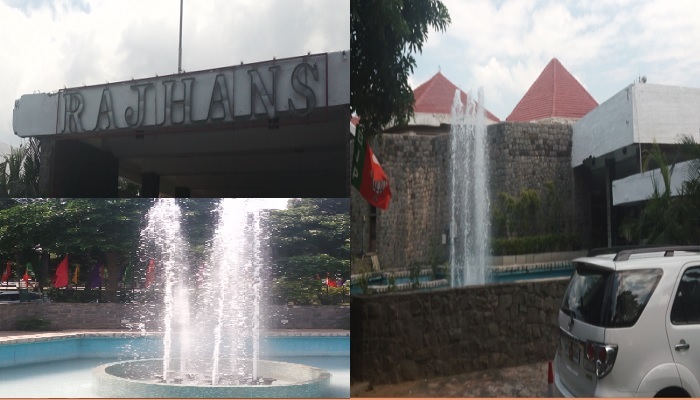 Every facility of a 5-star attraction has been provided in Hotel Rajhans. There are beautifully decorated rooms, spacious lobby, restaurant, coffee shop and health club in the hotel. The Convention Centre building adjoining the hotel offers convention hall (capacity of 600 persons) and a conference hall. Tariff range: Rs 3000-14500 + taxes. Rajhans Convention Centre comprises a variety of superbly equipped conference, meeting and banquet halls providing a diverse range of convention, banquet and wi-fi enabled facilities in the lap of Mother Nature at Surajkund, Faridabad. The Convention hall measures 6,160 sq.ft. and is a pillar less structure. It is complemented by a spacious lobby and a massive car parking. Luxary Tax 10%, Service Tax 8.4%, Check Out Time 12.00 Noon. Reservation would be on the basis of first come first served/ paid basis, against full payment. Tel : 0129-2512843, 2512054-57, 2512310-11, 251842(Telefax). Hotel Delite run by the esteemed chain of hotel & Gardens, Banquets - Delite Group. The Hotel Delite, Faridabad is one of the finest Three Star hotels in City Faridabad. This 64-room hotel features beautiful landscaped gardens and overlooks. In addition to luxurious accommodation, Hotel Delite offers specialty restaurants, a 24-hr Coffee Shop, a Cosy Bar, Extensive Banquet Facilities, Health Club, Beauty Parlour, Tennis Court and a host of other facilities. 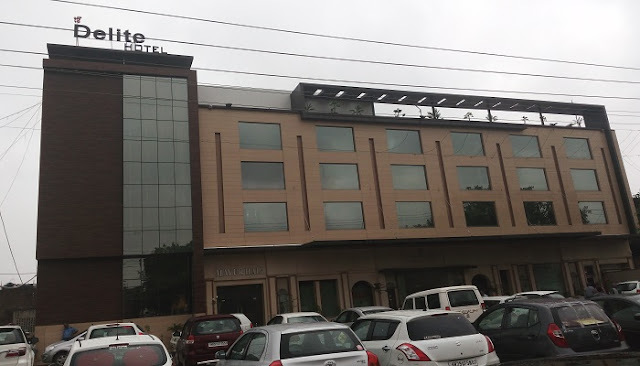 Frequented by hoards of business travellers all through the year, Hotel Delite in Faridabad provides standard business facilities at its major Conference Halls and the smaller Board Room. Many top-notch national organizations have chosen this hotel the venue for their high profile conferences, seminars and banquets. The Hotel Delite Hall is best suited for receptions, parties and banquets for 1000 guests. The Hotel Delite Garden is the ideal venue for parties and receptions of upto 1000 of people. The strategic location, fine dining outlets, and well-furnished rooms with all modern amenities at Hotel Delite Grand and Hotel Delite makes it the ideal choice of accommodation for any traveler in the city. Its serene environment and the uncompromised services offered by our diligent associates always ensure that you have a perfect staycation. Centrally situated in the heart of Faridabad off Delhi-Mathura NH-2, Delite Grand Faridabad offers quick access to cultural destinations and corporate hubs. The hotel is conveniently located near New Delhi and is only 35 km from Indira Gandhi International Airport. 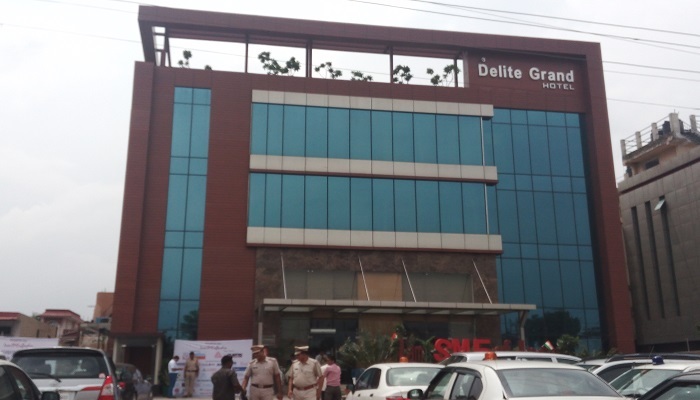 With well-appointed rooms and suites, classy venues for your events, and fine dining outlets Delite Grand Faridabad is ideal for any traveler in the city. 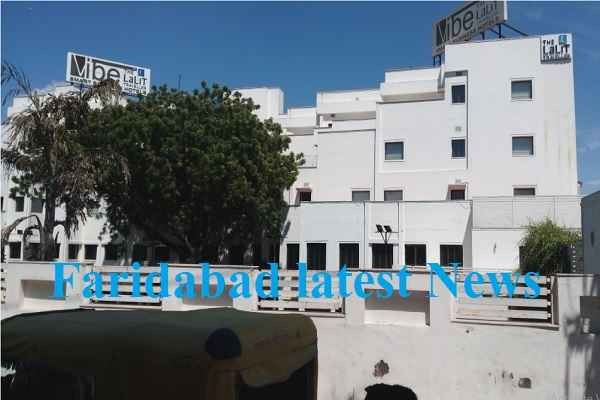 The Hotel Delite, Faridabad is situated on Neelam Bata Road NIT Faridabad. Located in the heart of the city, Hotel Delite is one of the finest Three Star hotels in the city and is easily accessible from the airport and railway station. This 64-room hotel is surrounded by beautiful landscaped gardens and offers majestic views of the cityscape. If you believe in the Victorian metaphor that a landscape is a series of distinct outdoor rooms, then the Delite Garden has all the floors, walls, windows and necessary ornamentation to validate this theory. An open lawn is the meeting point of the natural environment and the suburbs. Located at a charming location, the Delite Garden not only blends these two together seamlessly, but also engages all the five senses with its aesthetics, spaciousness, delicacy, wide array of colors and recreational value. Rate for extra person in room @Rs 1000 + taxes. The above mentioned rates are inclusive of buffet breakfast and exclusive of taxes. check-in and check-out time is 12:00 hrs. A multi-cuisine restaurant with regal ambiance aesthetically treats your taste buds and also your mind with the intoxicating favors, impeccable service and delectable cuisine integrate to create a memorable gastronomic experience. "The Bar"offers alcoholic and non-alcoholic beverages consisting interesting mock trails and cocktails with a wide range of international brands and with mouth-watering snacks. Indulge your taste buds with the famous liqueur chocolates, exotic cakes and delicate pastries of all shapes and sizes. The pastry shop also specializes in wedding-cake preparation.